Walker County maintained a 3/3Y ISO rating following a review of fire services in the unincorporated areas of the county and city of Chickamauga. The 3/3Y classification by the Insurance Service Office will benefit homeowners and business owners. Insurance companies use ISO ratings in their calculations to determine insurance rates in a community. “This validates all the hard work being done by our team to improve fire service in Walker County, while reinforcing the fact that our efforts provide a financial savings too,” said Chief Blake Hodge. “These surveys take a lot of time and effort to coordinate. The ISO evaluation looked at all aspects of the fire department, including equipment, manpower, training, number of stations and response times. ISO also evaluated area water authorities, 911 communications, public education, fire prevention efforts, code enforcement and inspections, among other areas. Walker County received high marks for communications, water supply, fire hydrants and firefighter training. ISO rates communities one on a scale of 1 to 10. A lower number means fire service in a given area is better equipped to put out a fire and save a home or business. 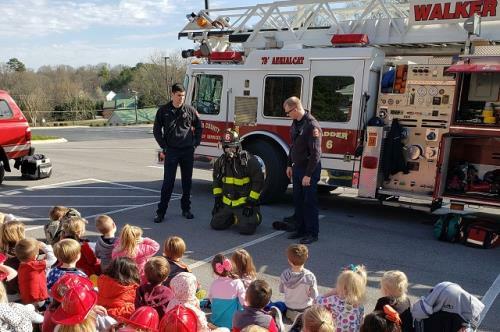 The ISO 3 rating, which is good for four years, places Walker County in the Top 12 percent in the nation for fire protection, ahead of more than 37,800 other cities and counties.